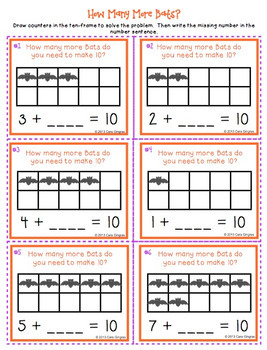 Halloween Math - How Many More Bats? 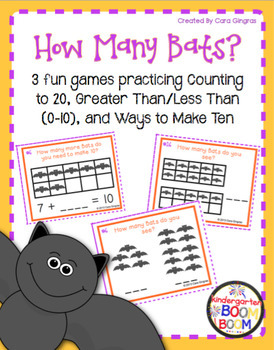 Halloween math centers halloween math activities - This is a set of three games with a bat theme. 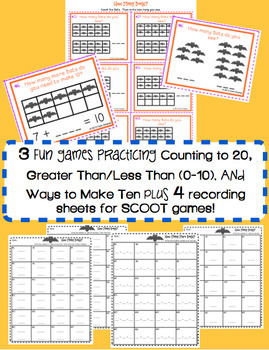 It focuses on ways to make 10, greater than/less than, and counting numbers to 20. 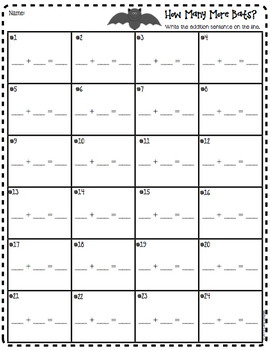 Thanks for stopping in and don't forget to leave me some feedback!